It takes an extraordinary amount of grace, strength, courage and tenacity to face your kidnapper and the one who for a decade repeatedly raped your body, and took your dignity, your self-worth and your self-esteem. 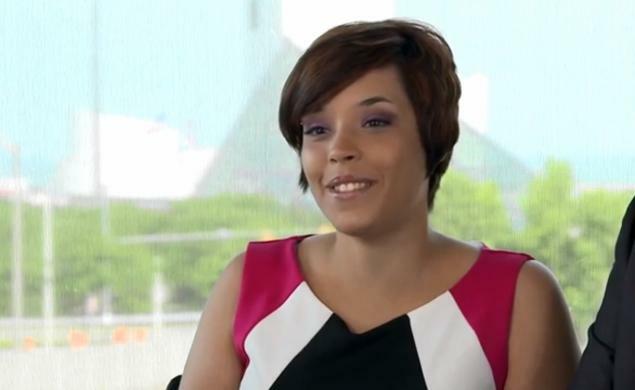 Amanda Berry, Gina DeJesus and Michelle Knight are the new faces of women empowerment! They have thus far, displayed such mastery of bravery and they continue to give hope to the many other families who are still awaiting the return of their missing loved ones. As we say in Christiandom, I say also to them and their families, it's time to take back by force all that the Devil stole from you! Take back your life, take back your peace, your joy, and everything else that he illegally took from you so that you are no more victims, but victors! No more defeated, but rising with glorious triumph over death, hell and the grave. No more oppression and affliction, but exuberance, strength and a new opportunity for the highest quality of life that you were wrongfully denied for all these years. 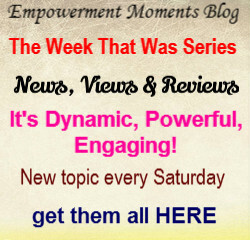 You are now back in control, you are in the driver's seat, and that is what I call empowerment! According to reports, one of the women Michelle Knight was the last one identified after the three Cleveland victims were rescued, and it's certainly no coincidence, she was the last to show herself to the public. She remained in captivity the longest. It is also reported that while in captivity, she suffered a number of miscarriages after their kidnapper beat or starved her while pregnant. The day of retribution finally came true on August 1st 2013 when before a packed courtroom and for the first time, Michelle Knight confronted her kidnapper Ariel Castro, the man who held her captive and raped her in his Cleveland home for 11 years. Though she was understandably upset, she had strong words for Castro as she read out her statement in court, just like she did earlier in the month of July 2013 in the video with the other two victims. Ariel Castro, I remember all the times that you came home talking about what everyone else did wrong and act like you weren't doing the same. You took 11 years of my life away and I have got it back. I spent 11 years in hell. Now, your hell is just beginning. I will overcome all this that happened but you will face hell for eternity. From this moment on, I won't let you define me or affect who I am. I will live on, you will die a little every day as you think about the 11 years and atrocities you inflicted on us. What does God think of you hypocritically going to church every Sunday, coming home to torture us? I would like to tell you what 11 years was like for me. I missed my son every day. I wondered if I was ever going to see him again. He was only two and a half years old when I was taken. I look inside my heart and I see my son. I cried every night. I was so alone. I worried about what would happen to me and the other girls every day. Days never got shorter. Days turned into nights , nights turned into days. The years turned into eternity. I knew nobody cared about me. He told me that my family didn't care. She exuded with confidence as she said in her parting words, "After 11 years, I am finally being heard, and it is liberating." She smiled as the Judge Michael Russo handed down a life sentence without parole plus 1000 years to Ariel Castro in prison. While the world may never know in-depth the unspeakable tortures the women endured, the world is relieved that they survived through no doubt in part, to the extraordinary, and simple acts of kindness between them. Knight is truly a remarkable, very courageous and heroic individual that even while in captivity fighting to survive and to maintain her sanity, she served as doctor, nurse, pediatrician and midwife. It's a miracle they are alive and God deserves all the glory, honour and praise. Thank you as always EMB readers for your loyalty and support in following and contributing to my blog through your comments and for sharing. If this story has been an inspiration to you, then let others know about it so that they too are blessed and inspired by it. Blessings and have a fantastic weekend. Join me on Sunday morning for my latest Prayer Without Ceasing post.